We all can agree that it has been a rough time here in SAP Community since we launched in October last year. Community members of all types, if they are casual visitors or long-term veterans, have been struggling with how to use what was previously called SCN. Personally, this has been the most challenging time in my professional career, as I saw all of you and your problems with this new place of which I have been a member of long before I became an SAP employee and the technical lead of SAP Community. If you are following my contributions, you will see that I don’t often publish blog posts here. It is mostly when we were facing severe issues or downtimes with the technical platform (which there have been fairly few recently), or when bigger changes are coming that you should know about. The reason for this blog post is the latter. But before I go into more detail on this, I think it is important to understand the problems we are currently facing and why these changes are necessary. We implemented SAP Community with a Best-of-Breed (BoB) approach, where content like blog posts and questions are managed in their own collaboration systems. This gives all of us the ability to have functional capabilities, that we wouldn’t get from a fully integrated system like we had in old SCN, where we were constantly running into limitations to provide you functionality specific to SAP Community and your specific needs. With this BoB approach, it was necessary to have places in the overall experience that would aggregate the content across SAP products, our industry solutions, but also technical topics and events. We had used “managed tags” in old SCN and decided that categorization and organization would be done best by a central taxonomy which would reflect all our available products, services etc. because this is what you, the community members are talking about each day. Aggregation of the content should be done on www.sap.com where the user would get a consistent view across all content types. As you can see, this is a very technical view on the problem and its solution, and what we underestimated was the necessity for a consistent user experience across the BoB systems and where the content gets aggregated. I personally didn’t have any understanding of what it means to build a good, consistent UX and how to identify a bad one. Even though I had been directly approached from people like Jeremy Good, who explained to me their issues with what was life in Beta, it took me quite an amount of time to fully understand. Here is a different view on the problem we are currently facing. A couple of month ago I sat down and started to visualize the current SAP Community structure, and it looks very messy. Please do not assume this is a complete or consistent view into the current structure, but I think it shows clearly where the current root cause of the problems lie. The Content Browser lane shows all the key pages where we list content for tags and topics, and the different content types (except the archived content, which isn’t integrated into the tag pages, but I’ll come back to that). In the end, you are faced with the problem to identify relevant content for you from thousands of pages, showing content lists. Many of you have raised your voice and told us about the problems that you see with SAP Community in its current form (e.g. these two posts, but even more in the comments). New questions don’t get visited and answered that often anymore. Blog posts have fewer comments and likes, and overall the engagement is lower than what we had before. The problems we currently see can be explained when we understand that core user journeys for content discovery are broken, and very hard to use. Posting a new question is fairly easy, but trying to find unanswered questions for your area of expertise is a major effort, and requires a lot of time. The same can be said for blog posts, published for a certain primary tag. Once the post rolls of the blog roll on Blogs, it becomes really hard to find the content again, even if it is of high value. With that understanding of the core problem, we were able to start working on a new approach better structure content in SAP Community and make it easier to find again. Tags are a fine and proven concept for organizing content. Just our approach of serving the content to the end user via a single page for each tag was a bad idea. And it didn’t help much, when we added filters for your followed tags on Blogs and Answers, because they only work for logged in users. With Topics, we are going to radically simplify how content will be organized in SAP Community. Instead of having thousands of pages for tags, all content will be accessible in about 500 topic pages (roughly the number of spaces we had in the old SCN). Topics are going to represent e.g. a SAP product, industry, event, or development technology, and will aggregate all the content related to this topic. The content browser will provide filter options to make it easy for example to only show you unanswered questions, or recent blog posts. In addition, you will get more information about the topic, the number of followers for this Topic, related Topics and the responsible moderators. What this also means is that Topics will replace the Primary Tag that you currently have to pick when creating content in SAP Community. Instead of having to choose e.g. from 72 tags related to SAP Fiori, you will be able to pick the SAP Fiori Topic and be sure that every visitor to the Fiori Topic will be able to access the content from that page. By replacing all tag pages with Topic pages, we will be able to reduce the number of overall pages, and significantly simplify the way content is organized in SAP Community. Navigation to the content of your interest is likely more to look like what you see below. We have been working the last couple of month with a team of UX designers and information architects on this new concept for SAP Community, and we are confident that this will resolve many of the issues that you currently have. The conceptual change will also include a UI redesign, improved personalization, fewer tags overall and many other improvements which we are going to share with you in the next couple of months. We are currently on the task of analyzing the UI designs, decomposing UI components, identifying required adjustments to our microservice architecture and planning out the work items for all teams involved. As a next step, we are going to build a prototype version of this new approach to validate our assumptions with end users and their specific needs (casual visitors, topic experts, etc. ), which probably will result in some additional adjustments to the UI designs and user journeys. These changes have the goal to restore the overall user experience, and we are confident that they will significantly contribute to the resolution of many of the problems we currently see. We have been using the SAP Community Roadmap to communicate which enhancements we plan to deliver short term, but I don’t think it is the right medium to properly reflect these larger structural changes that are needed. There will be more blog posts on this topic (no pun intended) in the near future, but actions still speak louder than words. We will share with you more details on what is going to change and how this will make SAP Community again the friendly and effective collaboration site that we all want it to be. Obviously, this post is going to raise more questions than it answers. Please post yours in the comments, and I will try to do my best to provide more details to you. why are still new tags added if you already know that you are going to drastically reduce and replace them? Most of those new tags have no moderators when they are added. And of course no followers as it is not possible to follow a tag without content. And hence the first few questions will usually stay unanswered as nobody has any chance to see the questions. We have been sharing the tag hierarchy in SAP Community with the rest of SAP.com until recently. Since 3 weeks we are now able to use a dedicated SAP Community tag hierarchy, which we can now utilise to not automatically have to consume all new products and solutions being published. I would suggest you raise this in the Moderators group, in case you didn’t do already. Long term I would expect much more stability in the tag hierarchy. Thanks for making me aware of it! We had used “managed tags” in old SCN and decided that categorization and organization would be done best by a central taxonomy which would reflect all our available products, services etc. because this is what you, the community members are talking about each day. Aggregation of the content should be done on http://www.sap.com where the user would get a consistent view across all content types. The “We” who did the deciding did not include anyone from the community. Why not? And with all the new talk about recreating communities, the approach still does not include members of the community (like the SAC). Instead we get shown a bunch of slides without any detail of what flaws already noted are going to be addressed and how. Why won’t you all listen to us? We are your customers! Have some empathy instead deciding you already know the right solution! Mike, listening to our members can happen in many different ways and channels (forums, Idea Place, Coffee Corner, etc.). 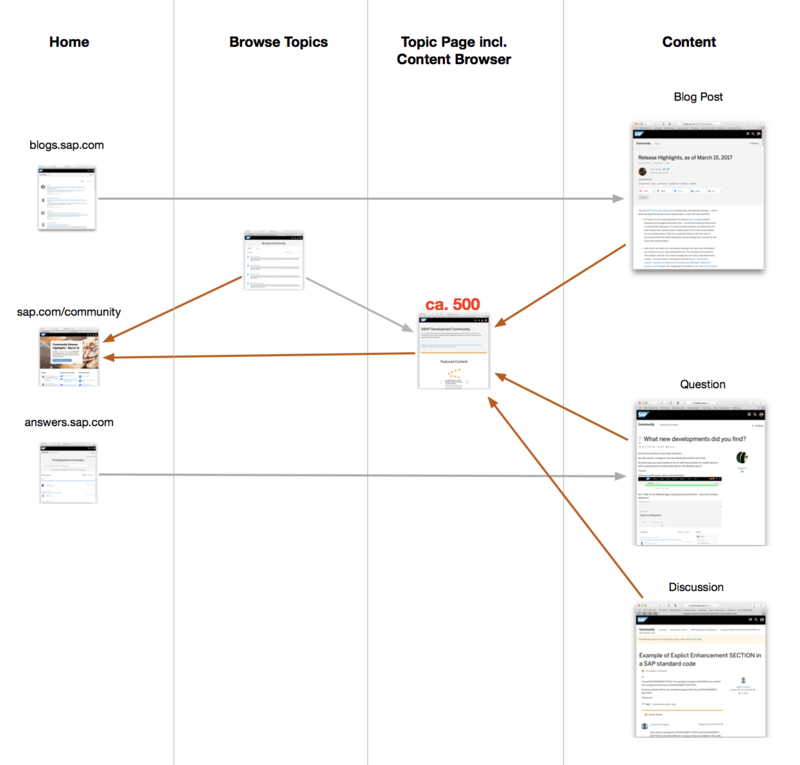 The new UX design was mostly driven by all the feedback that community members (incl. SAC member) provided over the last 12 month, their clearly expressed needs and the overall goals of SAP Community as a customer service (e.g. address your SAP specific question and get an answer from the topic experts). Being part of the SAC, you already get very exclusive and early access to what we can share at this point. Being aware of all the questions you and others will have (see above), we want to make sure we can answer most of them, once we give you more insight into our current work. On the other hand, I think you and I are aware that I won’t be able to provide you the answers you want to hear anyway. “This is all well and good…” – thanks because this is probably the most encouraging comment I got from you recently. I completely overlooked it when replying to your comment. As you said, “I think you and I are aware that I won’t be able to provide you the answers you want to hear anyway.” All too true. But while it is not in your control to change this process, you are presenting a public picture of what is being fixed and how. I object to the means and methods, so you are receiving a public response. These are concerns I have mentioned in private multiple times as well as publicly multiple times. Publicly seems to get more response and action, but not much and definitely not much of value. The SAC as currently being used is pretty useless as far as receiving feedback from its members. 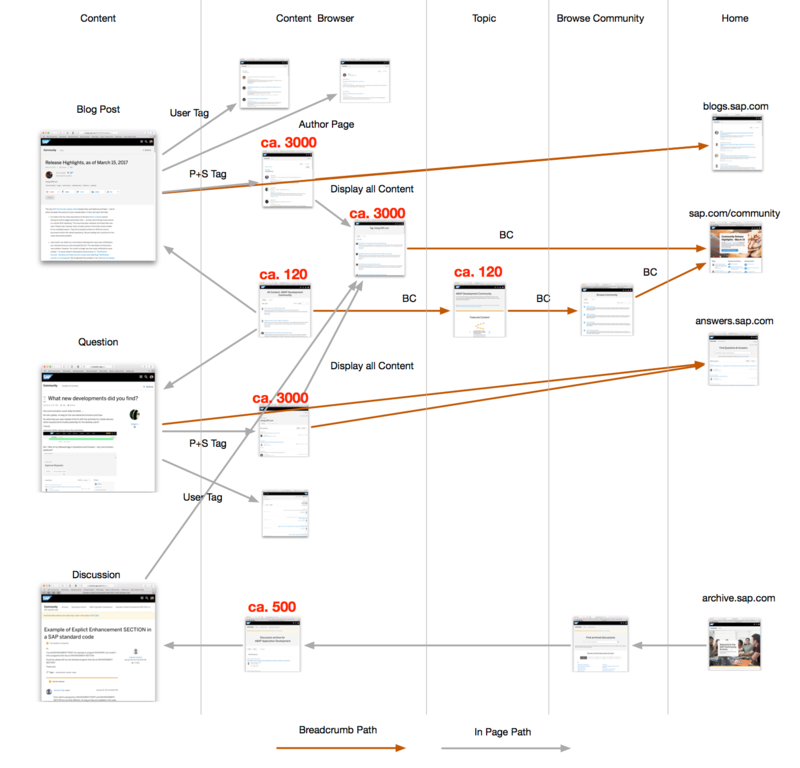 The wireframes presented in the June SAC meeting, were unreadable (deliberately?) and yet most of the responses from the members were taken as sufficient feedback to proceed with the design? Since the SAC leadership refuses to actively collaborate with its members, it makes a pretense of using the feedback and then does what it wants regardless. Despite repeated requests for more detailed wireframes since the June SAC meeting, which might actually be able to be reviewed, none were ever provided. The HIFIs shown in the July SAC meeting had even less detail. Neither the wireframes nor the HIFIs had any correlation provided to the numerous flaws listed by the members since even before the Open Beta testing. If the present flaws are going to be addressed by the new approach, why not show how this will be the case. A requirements list was never presented nor has there been a Minimum Viable Product review or even requirements list. Note: Given the MVP decision which gave us this flawed and inadequate SAP Community, one would think that maybe, just maybe, the tremendously experienced SAC members would help with making a good decision in that area. I could go on as there are many other aspects of this SAP Community redesign process which are flawed such as the UX work is being done ahead of getting the Tags fixed. By the time the prototype is ready to be tested, there will be no time remaining to correct the obvious flaws. I am getting a feeling of deja vu all over again. I remember it well from last October when the decision to go-live was made over the objections of most of the SAC as well as other people who actually tested the beta version instead of looking at the pretty layout. PS: I dislike seeing you catch the brunt of my responses. Your part in this process is hardly the biggest contributor to my frustration. Thanks for the candid feedback, Mike. Finally, this has been a very frustrating journey… I believe simplicity was always the key. Also,if you need any help/feedback I’ll be happy to contribute. Thanks Juan! It was definitely not our intend to make this a frustrating experience. We will get this fixed. Go look at https://stackoverflow.com for some ideas. I created these ideas a while back for the community but they were never looked at. Hi John, maybe you want to link your specific ideas here? But looking at this topic…aeh tag page from stackoverflow here, I see some similarities with our new topic pages already. stackoverflow is definitely a benchmark and a source for inspirations. As Oliver said…can you link where you shared the idea (or where it was shared)? I recall reading it, but I couldn’t find it in Idea Place. Hi Oliver – my LinkedIn mobile app has just encouraged me to congratulate you on your 8 years at SAP! Based upon your technical overview and humble comments above, it sounds like the first seven years were a bit smoother than the last one. Thank you for the name drop above^^ (avoiding the term ‘mention’ here) and highlighting our dueling laptop session from TechEd Vegas 2016. As I think I lamented in another post somewhere, I only wish we would have met much earlier in the BoB approach lifecycle. Unfortunately the beta train had already left the station at that point, but we must take these learnings into getting this fixed with proactive, frequent, and transparent community collaboration. Hi Jeremy, thanks for your comment. Always humble and friendly, same as I recall our TechEd session 🙂 That name dropping is soon going to turn into mentioning though, as this is also high on the priority list. We definitely learned our lesson, and one is that the whole space concept wasn’t that bad overall. Our members need a single place to go to to see all content and engagement on a certain topic. And this is what I’m trying to convey in this blog post. But if you are still waiting for a ‘Goodbye Tag Overload, Hello Topic Pages’ post, maybe I didn’t do a good enough job here? We definitely learned our lesson, and one is that the whole space concept wasn’t that bad overall. Hi Henrique, it was obviously me. The evil overload, the puppet master who is pulling all the strings in the background. We have already topic pages, but they are conceptually not well done, not consistently executed, and feature few valuable information. Nobody said that spaces where bad, but their importance for structuring and aggregating content got lost on the way through SAP-Community-ORG without clear UX guidance. We have to learn from our mistakes, work even harder and restore SAP Community again for our members. It is great to hear that we will have topic pages – feels like… going back to the future! (e,g,; much like the old SCN). I do hope that the Topic pages will not spring up apparently willy-nilly, based on the thinking of someone that knows nothing about the particular product/topic. I do not think we want to have another tag fiasco, but this time with Topic Pages. As for Michael Appleby’s assertion regarding member participation and you reply to that. Based on this blog the feeling is quite common. The other common thread in the blog concerns “why a community”? What is the purpose of the Community? Perhaps the confusion stems from the fact that the Community is subjugated and ruled in a dictatorial way by 1DX which apparently ensures that the needs of marketing and sales have an overriding influence(?). Hi Ludek, the set of topics which will be available at the beginning is currently being worked on. There are multiple variables, most of them based on seeing how our members are currently using the tags available, or what makes sense from a user need perspective. The Community Experience team is working there with the UX people on an initial concept. I’m pretty sure this will be shown as early draft to end users like the SAC for feedback and validation. On the topic of Community purpose, I definitely have my own opinions, being part of the Community for over 10 years, but I’m unfortunately the wrong person to respond to. But I’m pretty sure that Brian Ellefritz is reading this and might even respond directly. Hi Ludek, I’m new to this role and effort so can’t speak to a great deal of history, but 1DX is a project intended to ensure a great user experience for the different digital properties at SAP. I’m not on that team but it’s my view that the developer section of sap.com was designed for that audience, the partner section for partners, etc. and that’s been done with reasonable success. I do see and hear that the SAP Community is now an experience – design, utility, and content – that isn’t yet optimized for the audience of this platform. As Oliver mentioned, there is a lot of work being done on the site design to address this. Separately, we need a clearer vision of the SAP community program. We’re repairing a lot but we need more work on a vision and plan. In the meantime I absolutely support the focus Oliver’s team is giving on restoring the utility we need today. Since we’re both employees, feel free to reach out to me and schedule some time to discuss, I’d be happy to get your input. I am reading this post in a train (130 minutes delayed currently) . Unfortunately I cannot zoom the pictures on my mobile phone as I am used to on many other Web pages. Second I am still struggling with logging on using one of my three SAP IDs. The first problem is really making me wonder. How can this be best if breed when a simple task like zooming into a picture by double tipping on it does not work? The second problem annoys me since years and the more I am thinking about it the more angry I get. I have no clue why SAP is doing absolutely nothing here without looking although it is known for ages. I even participated in a project on Jam where this should be solved but the project did not deliver any result at all. I have a very high frustration level but I don’t know how long I will stay in the game here. 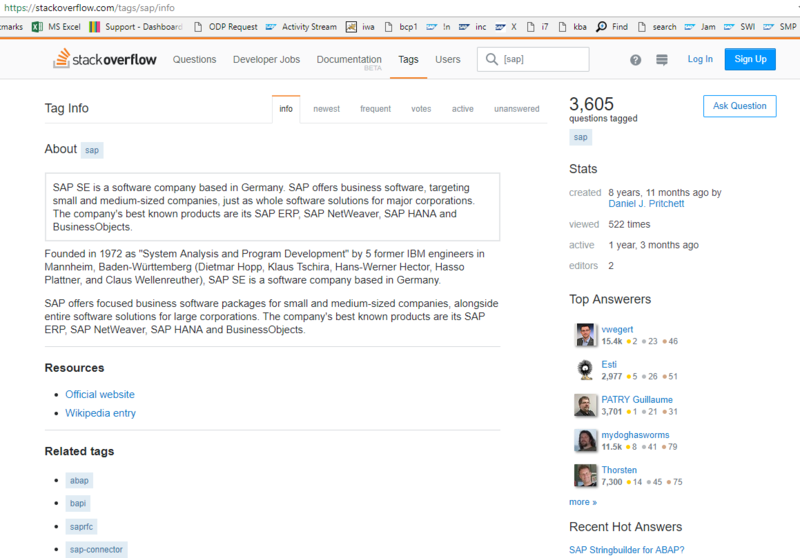 Sad enough that most of the SAPUI5 community left SCN in favor of StackOverflow already. Mark, if it makes you feel any better – I can’t zoom on PC either. All I can see are blurry images with unreadable text. Certainly WordPress platform should be capable of such functionality. But it seems that somehow we are using “best of breed” but not their best features. Not sure what’s up with that. And [now] I feel your pain with login. I can no longer use the same browser for SCN and Launchpad and have not received any replies from SAP employees on this question. Even though these issues seem out of scope of the Oliver’s blog, I keep thinking if simply getting rid of the atrocious tag system and replacing it with spa… errr… topic pages will be enough to get the SCN groove back. actually the zoom / mobile experience is quite good 🏅💯… I’m on apple iPhone safari. And I can zoom in great. Why don’t you get your 3 SAP ids fixed? thank you for the hint regarding pictures. It does not work as I am used to on other websites (clicking once on the picture for laptop browser, double touch on Android Chrome) but I can use right mouse on Mac and open in another tab and on my Android I can long touch and open it in another tab. Not perfect but good enough to use. With these many problems on the current platform we weren’t able to focus fine-tuning features like consistent image zoom. Sure this isn’t a big deal, but still a question on where to invest the efforts. Regarding the multiple user ID issue I can tell you that this is becoming traction again. It won’t go away by simply ignoring it, but it isn’t a isolated SCN issue either. It will only get resolved by coordinated efforts, and a proper concept across all sites, which is something a bunch of people started to look into recently. The tags were not a bad idea. But it was killed by implementation. When the tags were mentioned I thought that we’d be able to find the content the same way I find shoes on Zappos. There are many filters: size, color, style, etc. Then just check a few checkboxes and feast your eyes on 2000 pairs of sandals. Then check few more boxes and you get only 3. Of course, hundreds of topic pages are still better than thousands of tags. But it looks like this merely takes us “back to future”, to the spaces or forums we had on SDN. Again, not bad but a lot of things changed since then. People gotten used to ordering shoes online and finding 3 pairs out of thousands in 5 seconds flat. In this day and age I’d really expect to see some kind of digital boardroom / Minority Reports style stuff. I have a 24″ monitor with tons of space. I’d prefer to see a lot of information that I could filter, drill down into, open and act upon quickly, some kind of pimped-up dashboard. And I want to do it myself. I don’t want big mommy SAP to think for me what their “products” are or what exactly is a “topic”. Because everyone out there knows what QM is and “PLM Quality Management (QM)” exists only in the twisted minds of SAP Marketing. I can’t see the pictures in the blog very well but they don’t look anything like Minority Reports to me. Sorry but these news just don’t make me super-excited. I think we will get closer to your Zappos shoe filtering experience, but I don’t see us anytime soon delivering a Minority Reports style dashboard. Maybe you will build it yourself sometime in the future, with the help of the SAP Community API. Although not something on the official roadmap, this has always been something in the back of my mind. Tags should be more friendly and easy to find. Even as moderator from application side, I could not find the correct tags for upgrade error using basis tool. Shall we have a list to explain each tag with more words so that our customers could easily find the correct tag? I also could see that some people add their own tags with the name of person whom they would like to be involved. Is it possible that we made a tag for each participant and once this tag is used, the person will receive notification and could decide if he/she could help in this question. Regarding your second question, the team is currently working on @mention functionality. Once that’s rolled out, members will be able to @mention another member, and that mentioned member will receive a notification. So tags with participant names is not something we are likely to implement, since @mention will cover that need. Thanks for sharing this! Hope to see this feature in the near future. Thank you for sharing this blog, and I also got the new strategy “moving from tags to topics” from this blog. Good luck! Maybe I will start using SCN more as before. So frustrating now to find content, I visit much less frequently. SAP Support Launchpad is not much better either. Second project? Finding content and make it easier to use is what we are going to fix. Check back with us every now and then and you will hopefully soon see a much improved UX.